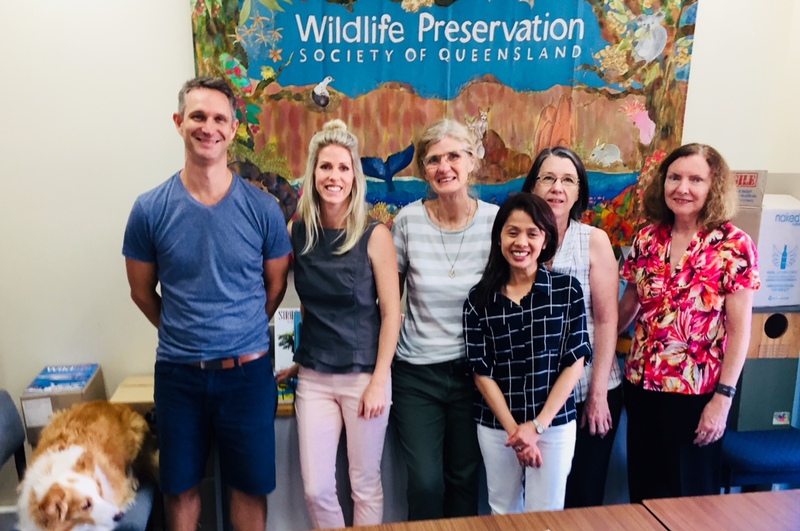 "My name is Natasha and, as the communications person for Wildlife Queensland, it’s my job to help raise funds and awareness of the species we target with our wildlife conservation campaigns throughout the year. From the iconic platypus to a little-known butterfly called the Richmond Birdwing, these species all have a unique and very important story to tell, but no voice to tell it with, no way of reaching people. That’s where me and the dedicated team at Head Office come in. Apart from being a huge advocate of the many ongoing projects that Wildlife Queensland manages to run without government support and very few grants, I have personal reasons for loving my job: saving the world one native animal at a time was actually my sister’s passion, and she has passed away. I work at Wildlife Queensland to honour her memory and support the work she dedicated her life to. The team here is like a family, drawn together by the desire to leave their patch of the planet in a better state than they found it in. Who wouldn’t want to be part of something like that? We are excited to report that our campaign to Bring Back the Birdwing by planting 500 vines essential to the species’ survival has been very well supported on Chuffed! But it’s only got 24 hours left to run! We all have our fingers crossed for a really big finish for this really special butterfly!"